The Month of Celebrating is a time for, you guessed it, celebration! The winter holidays provide many chances to have fun with your pets. But how do you go about celebrating in Neopia? There are certainly more ways than one, and not every Neopian celebrates the same way. Some go all out and embrace the Month of Celebrating. Lights on their Neohomes and presents under the tree! Some prefer to keep their holidays quiet. Here are a few ideas for celebrating the holidays! This one seems a bit obvious, right? Every day of the Month of Celebrating, the Advent Calendar in Terror Mountain will give you a lovely gift, along with a nifty animation for you to watch! They are sometimes funny, and sometimes a bit heart-warming. 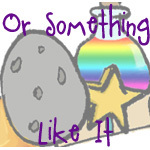 The items you get can range from simple gifts, to exclusive items, to even rare paint brushes and petpets! The items always have a festive theme, and can be perfect gifts to your neofriends if you don't like them. If you are talented in coding and can easily make a nice user lookup, a winter-themed user lookup makes everything a bit more festive. If you can't code, ask a friend! There are also many petpages devoted to providing premade user lookups, and most have ones made especially for the Month of Celebrating. Another thing that can be themed, and is significantly easier to change than your user lookup, is your Neoboard font! Just pick a festive avatar and match it up with a cute font. There are many font guides scattered throughout Neopia if you cannot make fonts, but it is much easier to learn and do. Dressing your pets is another way to go. This requires no knowledge of coding, and can add to your NeoFamily's festivities! There are many Neopoint and Neocash items that are holiday-themed, and many of them are quite cheap before winter. So it is definitely ideal to stock up before the Month of celebrating. Galleries and shops can also be wintered-up. Even if your gallery already has a theme, maybe add some nice winter-items that go along with it. My Poogle gallery will definitely be getting some Christmas Poogle items! You can also customize it to include a few winter graphics, or hire a nice Christmas-coloured shopkeeper for the month! Your neofriends deserve some love! They have been there through thick and thin. Check out their wishlists, if they have any. Wouldn't it be lovely for your neofriends to wake up on the Day of Giving to see that you have sent them that plushie they have wanted? If you are short on neopoints, even a nice neomail will do. Everyone likes a nice holiday card! Another possible gift idea for your neofriends is art! If you are an aspiring artist, then drawing some art for them is an excellent gift! You could draw their pets dressed in winter clothes, or gathered around the fire! 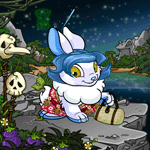 Your pets are the whole reason you are on Neopets, right? So why not get them a few gifts for the Day of Giving! They give you so much love, so why not give some back. You could go all out and buy them that paintbrush for their dream colour, or you could just buy them a new toy. Whatever you think your pet would like best. Just try not to get them another pair of socks. Unless your pet has a certain fascination with socks. For some Neopians, the idea of getting gifts for friends is out of the question. Try donating toys that your pets do not like anymore to the money tree, or giving them away to people you see on the Neoboards. Every Neopian deserves to have happy holidays, even if they have lost all of their Neopoints at the scratchcard kiosk! To donate an item, just go to your inventory and click on the item you want to give away. Hit "Donate Item"! It's that simple! If you want to give it as a gift, just hit the "Give to Neofriend" button, and enter your friend's username. If you want to donate neopoints, you have to go to the Money Tree itself, and enter the amount of neopoints you want to give away. One thing I plan to do this Month of Celebrating is adopting a pet from the pound! Imagine being a pet without a home, and having to spend the Day of Giving with that nasty Techo. Ech! Adopting should not just be for the Month of Celebrating, but a warm home is the best gift you can give any pet. Perhaps you could make a new friend, and keep your new pet. Or maybe you just want to foster them until you find a perfect home. Whatever the case, helping a Neopet in need is a perfect gift! Give your Pets some Attention! If you are like me, you have a lot going on in your life. Sometimes things can get in the way, and your pets get left alone. Make sure to set aside some time this month to give your pets some much needed attention! Maybe you could work on their pet page, draw them, or even just play with them! By the end of this month, they will be sick of Kacheek Seek! Head on up to Terror Mountain to play a few Winter-games. There's a huge variety of games that can add a whole lot of winter to your day. Snow Wars is definitely a popular choice, along with Rink Runner! Hannah and the Ice Caves is certainly chilly, and Snow Roller makes me cold just thinking about it! While Ice Cream Machine may not be specifically "Winter", it is definitely cold in an Ice Cream Machine, and Adee's clothes definitely look warm. Don't forget your hot chocolate before hitting play, or else you might get frostbite! With the Month of Celebrating just around the corner, it is definitely time to get ready for celebrations! Neomail a few friends and plan a nice holiday Key Quest game, and get your guild mates ready for the festivities. Just remember to enjoy the holidays, and do not stress about gifts too much! It may be called the Day of Giving, but you do not just have to give gifts. Give love, friendship, and other things that can't be wrapped up! They are the best gifts of all. Let's see, you guys did pirates vs. ninjas last year; what other great rivalries are there in Neopia?